BERNINA Club is a fun way to see old friends, meet new friends, learn new tips and tricks and share projects. Enjoy laughs and lunch or dinner with a (sometimes raucous) group. This class is for owners of The Bernina Embroidery Designer Plus Version 8 software. Free motion and Ruler work Cafe. Please bring a dish to share. Come learn your new machine! TAKE THE QUITTING OUT OF QUILTING! Bryan will talk to you about what needles and threads you should be using. Teach you how to trouble shoot common problems and show you how to clean and oil your machine. Come learn how to design a quilt that incorporates your embroidery designs. Zippers are easier than you think! 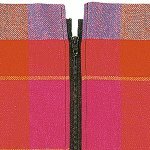 Come learn 3 different kinds of zipper applications!